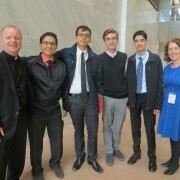 Ignatian Family Teach-In for Justice? It is an annual gathering for members of the Ignatian family (Jesuit institutions and larger church) to gather in the context of social justice and solidarity to learn, reflect, pray, network, and advocate together. It is a place where people are empowered, re-energized, inspired, challenged, and supported by a community that sees faith and justice integrally linked. The registration fees cover all materials and entry to IFTJ events throughout the weekend. Please note that meals and lodging are not included. Registration opens April 3, 2018. The registration fees cover all materials and entry to IFTJ events throughout the weekend. Please note that registration fees do not cover meals, but there are many affordable meal options within walking distance of the Crystal City Marriott Gateway. How are speakers chosen for the IFTJ? The Teach-In is a space for prophetic voices for solidarity with the economically poor, the marginalized, and the Earth who have an openness to an Ignatian approach to faith and justice. In those we invite to be with us and in those who come to participate, we embrace words that challenge individuals and institutions to be agents for justice and solidarity in ways that may cause us to feel uncomfortable in the context of dialogue and mutual respect. 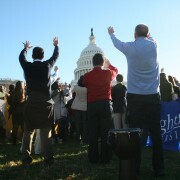 Within this context, speakers are chosen by the IFTJ Steering Committee composed of staff, members, and volunteers connected to Jesuit universities, high schools, parishes, and other Jesuit ministries. Will you offer the IFTJ streaming online? Yes, friends, family, and colleagues will be able to view some portions of the IFTJ live on our website. 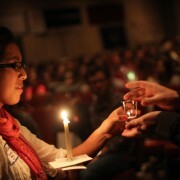 We will share information about the Live Stream availability via e-mail, social media, and at www.ignatiansolidarity.net. No, seating is first come, first served. 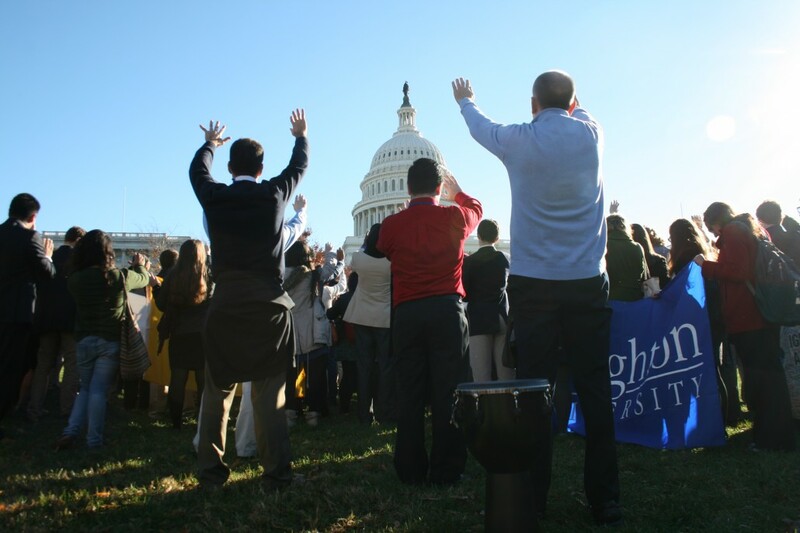 Will there be an advocacy day included in this year’s IFTJ? Yes, the advocacy day will take place on Monday, 11/5 on Capitol Hill. Advocacy Training will be provided on Sunday, 11/4, and all participants will be provided with talking points, meeting planners, and other helpful documents for their visit. 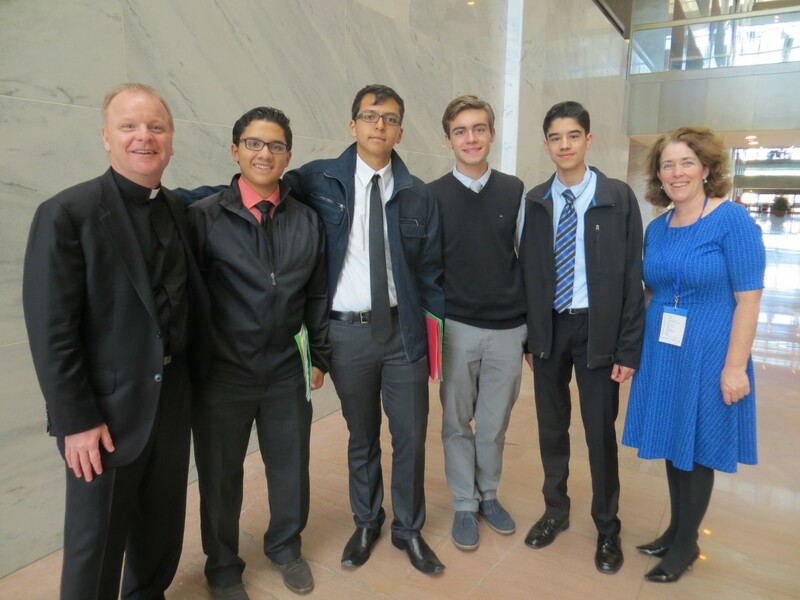 What is the Ignatian Family Teach-In for Justice (IFTJ)? 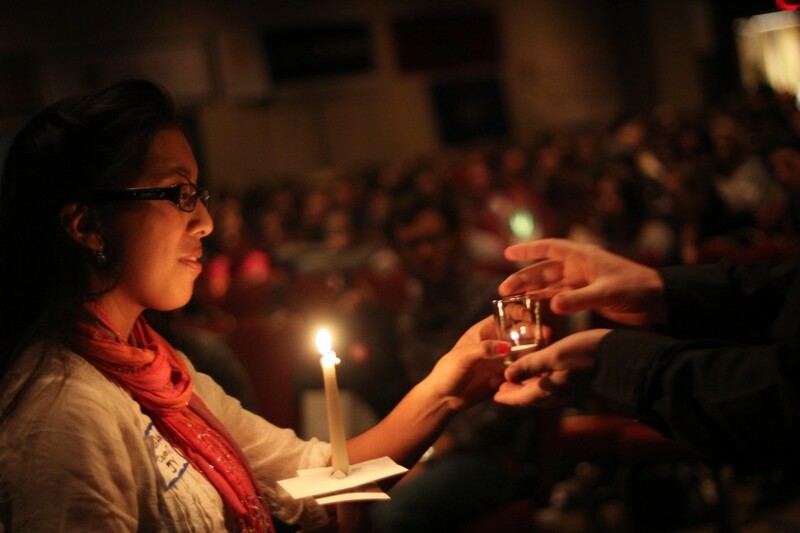 What is the theme of this year’s Teach-In? I’m traveling to Washington, D.C. for the IFTJ. Where should I stay? The IFTJ will take place at the Crystal City Marriott Gateway, and ISN has contracted a special room rate ($124/night + applicable taxes) for our IFTJ participants. Book your hotel room. What are the closest airports to the IFTJ? The closest airport is Reagan National Airport (less than 5 minutes from the hotel), and IFTJ participants can catch a free shuttle to the IFTJ from the airport. BWI and Dulles International airports typically offer more economical flight prices, but please note that public transportation travel time to/from the airport will be approximately 2 hours and cost an additional $10-15 each way. Will there be free transportation to/from the hotel? The Crystal City Marriott Gateway offers a free shuttle to/from the Reagan National Airport. You can also take the Metro to the Crystal City exit for $1.50. The hotel is just beyond the metro station doors. Yes, parking will be available cars and vans at the Hyatt Regency for $24/day. Bus parking is available on the streets. How can participants and/or I get involved in the Teach-In? There will be multiple opportunities for participants particularly students, faculty, parish and school staff to get involved with the Teach-In throughout the weekend. The steering committee will be seeking applications for student speakers, breakout session presenters, and networking facilitators. Participants will also have the opportunity to serve on the volunteer team, social media team and to help out with prayers and Mass as a prayer leader, Eucharistic minister, or choir member. Contact Kim Miller at kmiller@ignatiansolidarity.net if you would like information regarding any of these opportunities. Ignatian Solidarity Network will provide a full registration refund if cancellations occur prior to 10/2/18. Cancellations made after this date will not receive a refund. Please note that ISN prepares materials and IFTJ arrangements according to the number of participants registered.